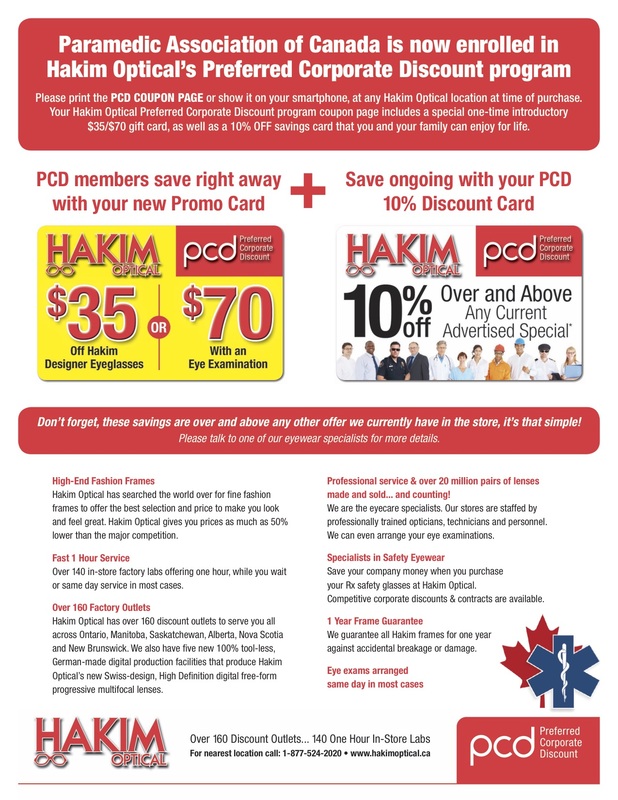 Hakim Optical is offering Paramedic Association of Canada members, Preferred Corporate Discount Offer at Hakim Optical stores nation-wide with absolutely no membership cost to the Paramedic Association of Canada and its members..
Our amazing employee discount program gives each of your members across Canada (excld. Quebec), an on-going 10% off as additional savings over and above any advertised Hakim Optical special. 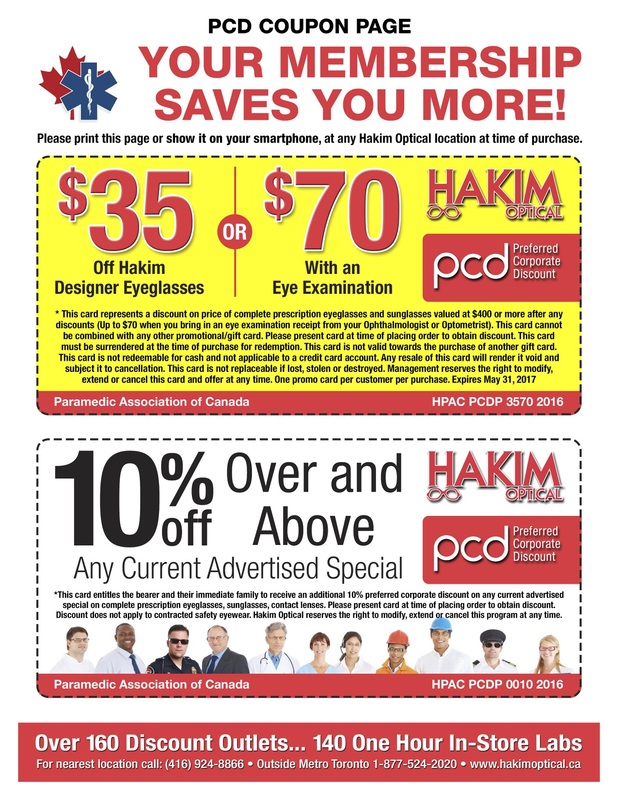 In addition, each of your members will also receive a Hakim Optical gift card valued at $35 off or $70 off with eye exam, that they may instantly use with their lifetime 10% OFF card and in combination with any Hakim Optical special advertised at time of purchase, towards prescription glasses, sunglasses or contact lenses at any of our Hakim Optical stores located across Canada. 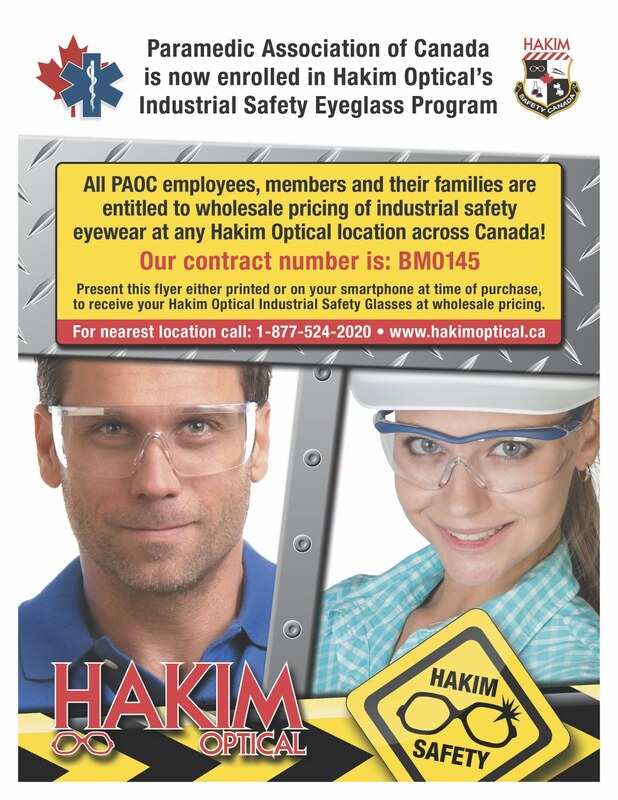 Hakim Optical offers a Safety Eyeglass program with absolutely no fee to join, it's to ensure your employees, members and their families are entitled to wholesale pricing at store level. Those who aren't on such a membership plan must pay retail pricing. A lot of great savings at Hakim Optical that your members will most certainly enjoy and take advantage of with their family members. It's a truly a great member benefits package. To receive this incredible offer, please let me know the number of members and employees (full-time & part-time) across Canada (excld. Quebec) and I will ensure you receive a co-branded Hakim Optical Preferred Corporate Discount electronic offer to post on your member benefits/intranet site so that your members can start enjoying our discount program immediately.